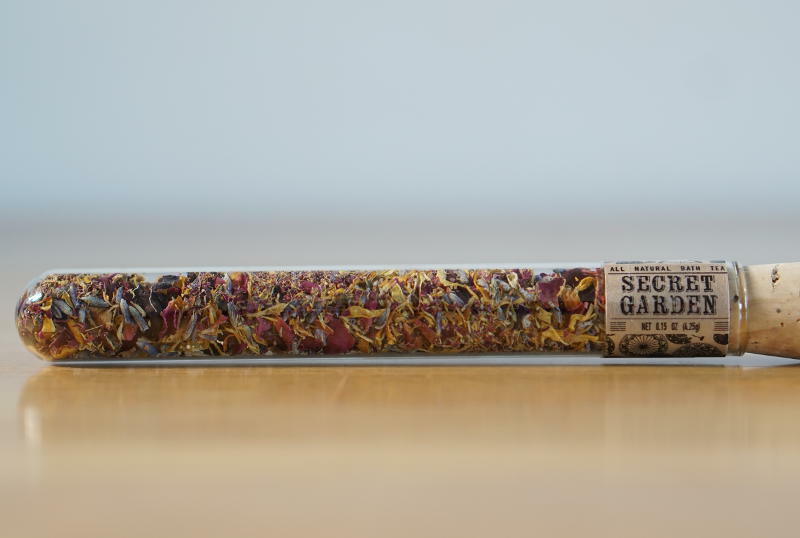 A peaceful, calming blend of herbs and flowers for pure relaxation and bliss. What better way to seize the day than with a hot and relieving bath. We don't take many of those these days anymore. Remember the fun times in the tub as kids? You should take that back and enjoy some personal loving and caring time for your body and soul. 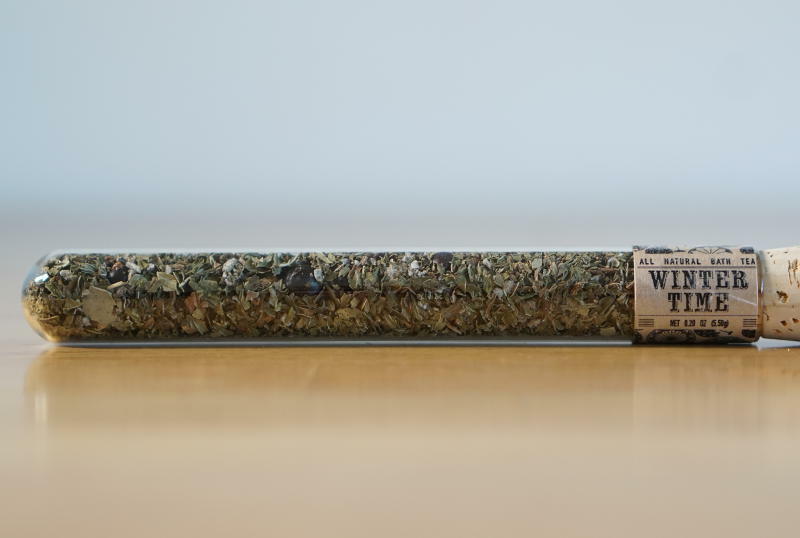 Add our bath tea to your hot bath, and with the floating petals, truly feel like a queen (or king). You don't enjoy swimming "things" in your water? Really? No problem, we have you covered! You can also fill the included cotton tea bag and still feel like royalty...the picky sort. Our bath teas are very versatile. Use them as a compress on your temples, on tired eyelids, neck, or other pulse points. They also make great herbal face steamers or herbal washcloths, you can even include some grated soap. Empty and rinse cotton bag and allow to dry in between uses. 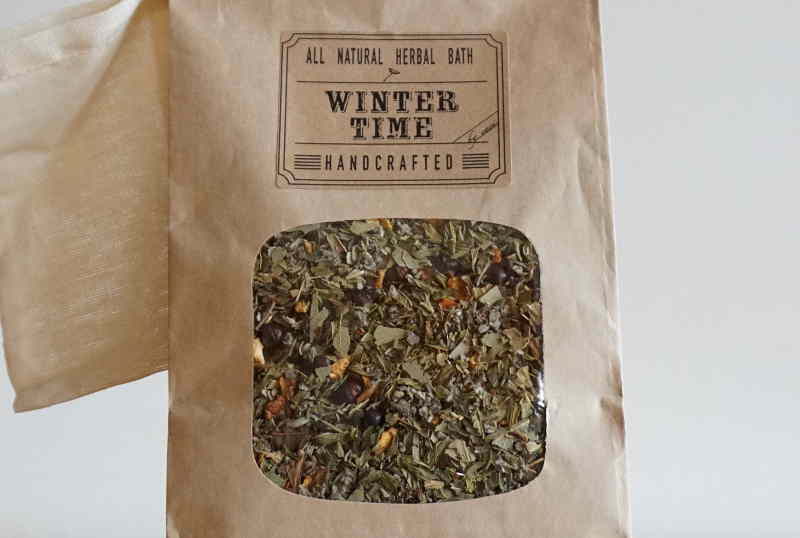 Our bath teas comes in recyclable kraft paper bags and include a reusable cotton tea bag (3”x5”). Perfect refill option for our Bath Tea Jars. All Natural. 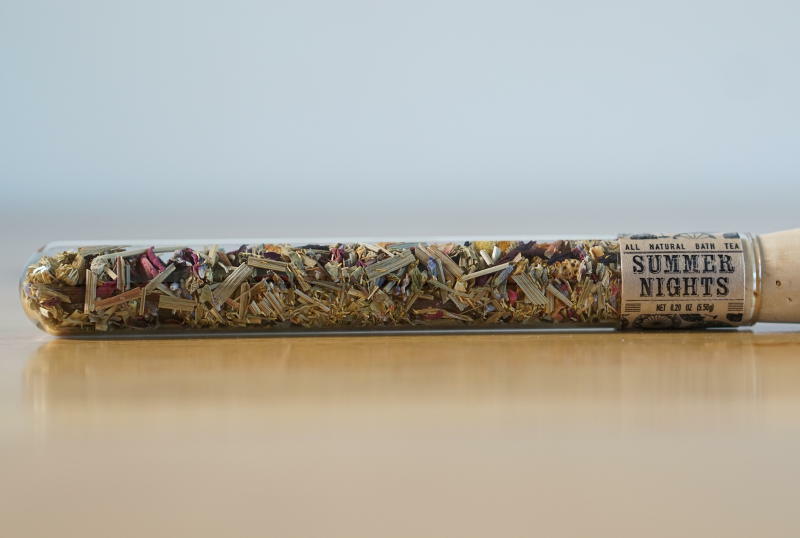 Naturally scented by herbal blend. 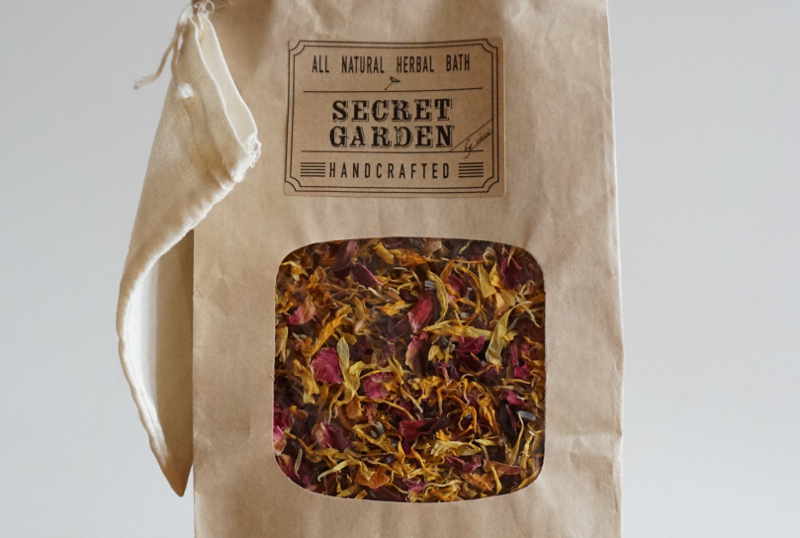 Add our bath tea to your hot bath, and with the floating petals, truly feel like a queen (or king). You don't enjoy swimming "things" in your water? Really? No problem, we have you covered! You can also fill a tea bag and still feel like royalty...the picky sort. Our bath teas are very versatile. Use them as a compress on your temples, on tired eyelids, neck, or other pulse points. They also make great herbal face steamers or herbal washcloths, you can even include some grated soap. 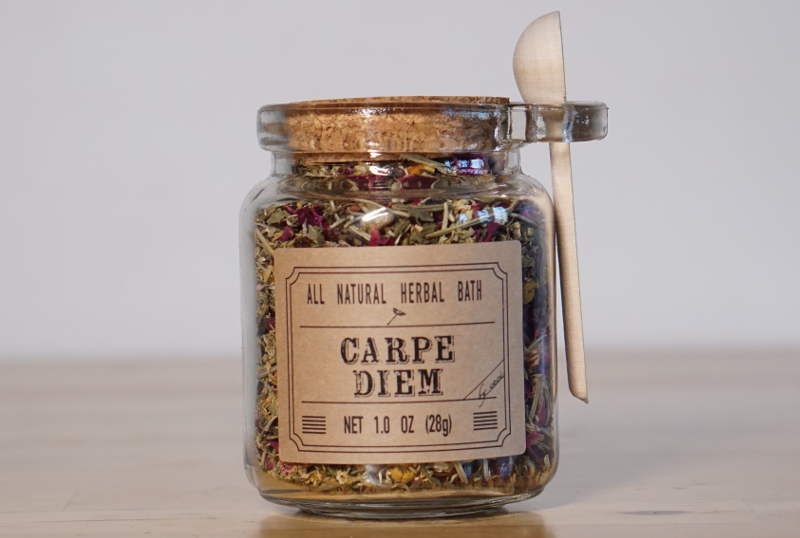 This Bath Tea comes in glass jar with cork and little wooden scoop. 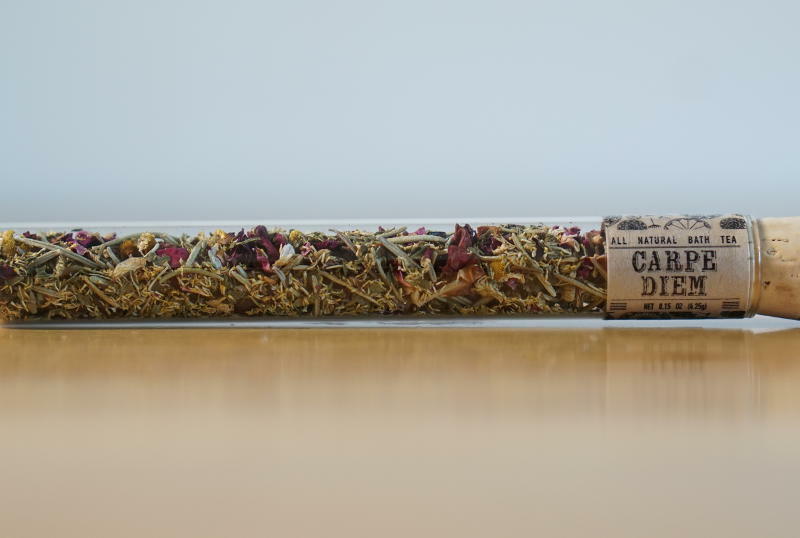 This Bath Tea comes in a glass vial with cork top. It makes a perfect special little gift. Find yourself lost and lonely like Mary Lennox in this big and cruel world? Nothing soothes the soul and mends the wounds like the wonders of nature. Discover your personal secret garden and its marvels, and find your key to happiness. 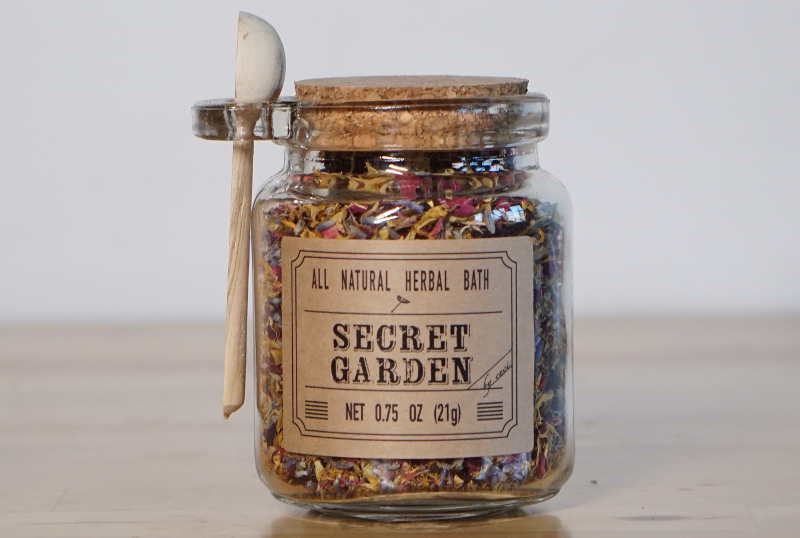 We are not saying our herbal bath is the cure to all ill, but it surely gives you a moment to be kind and love on yourself, take it! Our bath teas are very versatile. Use them as a compress on your temples, on tired eyelids, neck or other pulse points. They also make great herbal washcloths, you can even include some grated soap. Empty and rinse cotton bag and allow to dry in between uses. 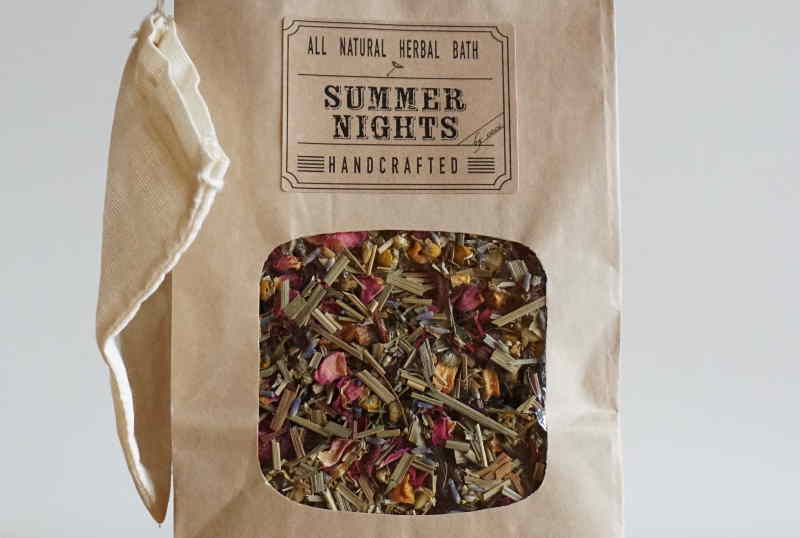 Our bath teas come in recyclable kraft paper bags and include a reusable cotton tea bag (3”x5”). Perfect refill option for our Bath Tea Jars. Our bath teas are very versatile. Use them as a compress on your temples, on tired eyelids, neck or other pulse points. They also make great herbal washcloths, you can even include some grated soap. 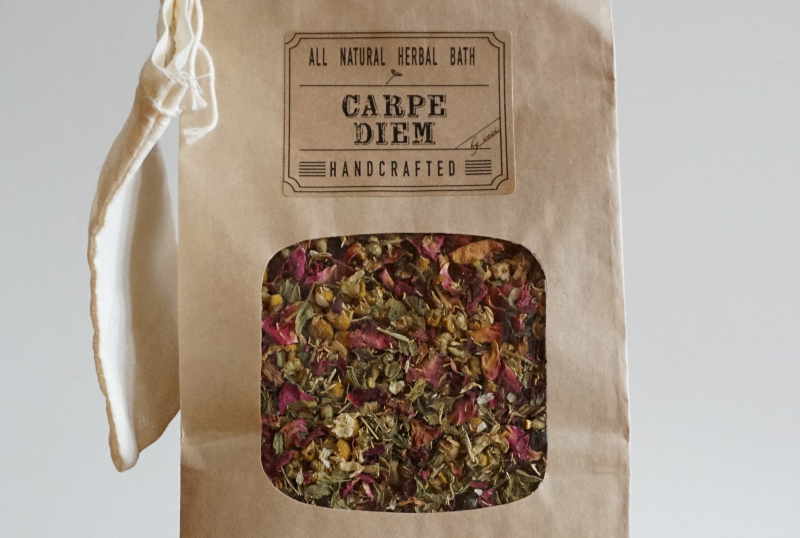 Add our bath tea to your hot bath, and with the floating petals, truly feel like a queen (or king). You don't enjoy swimming "things" in your water? Really? No problem, we have you covered! You can also fill a cotton tea bag and still feel like royalty...the picky sort. "Summer days drifting away..." It turned colder; that's where it ends, you say? It doesn't have to be that way. 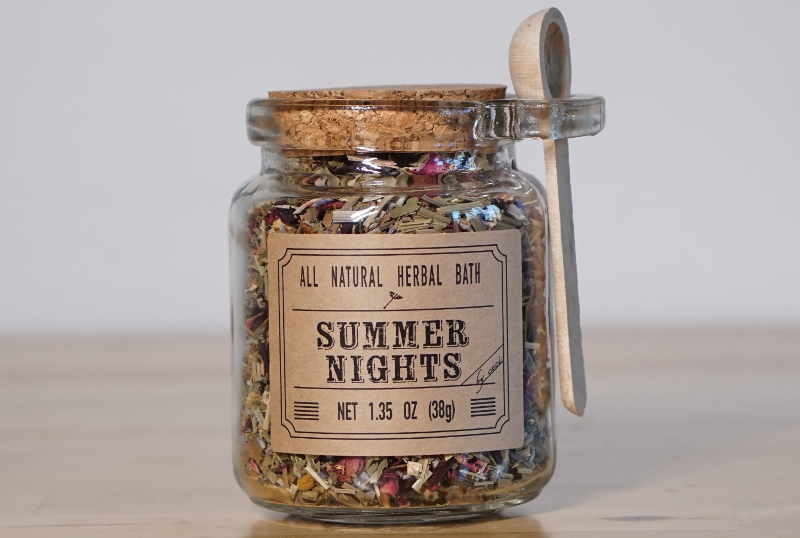 Bring back sweet memories of hot summer nights with this exciting herbal blend reminiscing of romantic strolls on the beach holding hands with your summer crush. Your summer romance didn't end there? Even better, enjoy a bath for two! Days are getting shorter, colder, and darker. 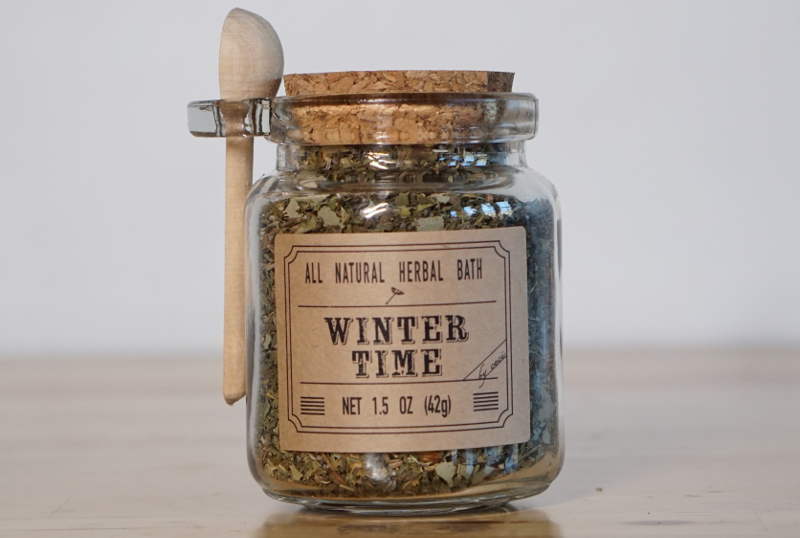 Lighten up your evening with a hot revitalizing bath, and soak in the wonderful aroma that winter time brings with it. Embrace the season with its wonderful treats! We all know no one would take hot bath in the depths of summer!